The initiative of proving a simple meal has now grown into a fully functioning community center. The atmosphere at Life Connection Center is warm, inviting, and for many, has become a home away from home. Many individuals have connected with volunteers and peers to help them in their recovery, working towards a better future. Every individual that comes through the doors of Life Connections Center is treated with dignity and the utmost respect. 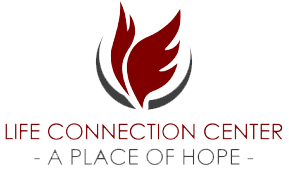 They currently have goals to continue to expand the services provided at the Life Connection Center and to grown their staffing supports. They currently have a dedicated volunteer base and employees from the M.I.L. church overseeing operations, but they are aware that in order to grow they need to establish some dedicated Life Connection Center Staff Positions. They are also committed to establishing their financial sustainability through fundraising events, professional marketing and strategic community relations efforts.